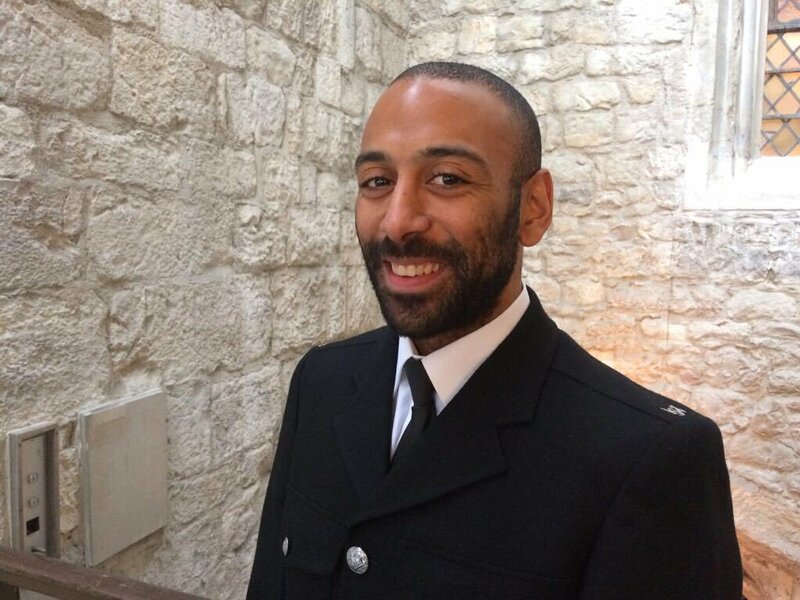 A police officer hailed a hero for his response to the London Bridge terror attack has spoken candidly about the lasting impact the incident has had on him and his family. "For a long time after the incident I didn't know anything was wrong," Leon said. "I wasn't looking after myself properly, I wasn't eating, sleeping or exercising. I threw myself into work and neglected my (now ex) wife and child and really didn't seek help from the right people soon enough." "With hindsight I made reckless decisions that had had a massively detrimental effect and hurt a lot of people. I didn't sustain the injuries - and worse - that so many did on that night but mentally it's taken its toll." Recognising he needed help, Leon first spoke to friends before approaching his supervisors at work. "There is still too much of a taboo about asking for help," Leon said. "There is somewhat of a macho nature in society and this is also the case in policing, meaning some people feel it's better to bottle things up and stay quiet. I feel lucky not to be that kind of person." "Work have supported me hugely and my friends have been there like they were all along. I've learnt how to deal with the down days better." Feeling stronger and more positive, Leon has turned his attention to helping others who are experiencing similar challenges. This April he will pull on his trainers and join the thousands of runners at the London Marathon start line. He's raising money for the social enterprise PTSD999 and hopes to increase awareness of the support it offers. PTSD999 was founded by former BTP officer Gary Hayes whose Chronic PTSD went undiagnosed for eight years. "Today's criminality and acts of terrorism bring horrors only seen on the battlefield, "said Gary. "Officers are dealing with these life-changing situations daily and the impact on them is huge. There are many reasons they don't talk to anyone, the main ones being trust, stigma and the fear of losing their jobs." "I wish I had spoken to my mates within the job; I may have still been a police officer now." PTSD999 supports all the emergency services and as well as assessing and treating PTSD, provides Trauma Response Awareness training and Psychological Health and Safety. Gary said: "We need to look after our people on the front line. That includes our 999 call takers who are very often the forgotten heroes along with family members struggling with the changes they see when their loved ones return home." PTSD999 is funded through donations and grants and relies on the support of fundraisers like Leon, who has set an ambitious target of %pound;10,000. This will be Leon's first distance event. He trained for the London Marathon in 2014 but suffered a knee injury two months before which left him unable to take part. "No matter what, I'm getting myself around the course!" Leon said. "I've stepped my training up in the last couple of weeks. I'll be around the half marathon mark soon and will be looking to add about 6-8 more miles to that before the big day. "I've stopped drinking and have cut out rubbish foods, so frankly life is dull at the moment." "Having struggled with mental health issues of my own in the past 16 months I think it's vital that people potentially in a similar position know help is out there. I've spoken to people from within the blue light services and its shocked me how many people are battling their own demons, often without support. I don't want anyone to go through the same things I did and to make the same mistakes." If you can help Leon to raise £10,000 to support the work of PTSD999 you can make a donation here https://www.justgiving.com/crowdfunding/leon-mcleod You can also leave messages of encouragement.